SupportPay is a plugin module which allows you to charge your customers for support calls and ticket resolution. The existing users’ accounts are used as an existing base for extra information on their credit levels: ‘minutes‘ or ‘tickets’. Here the last are payment units that have to be purchased by users to pay for a single ticket or chargeable time on it. 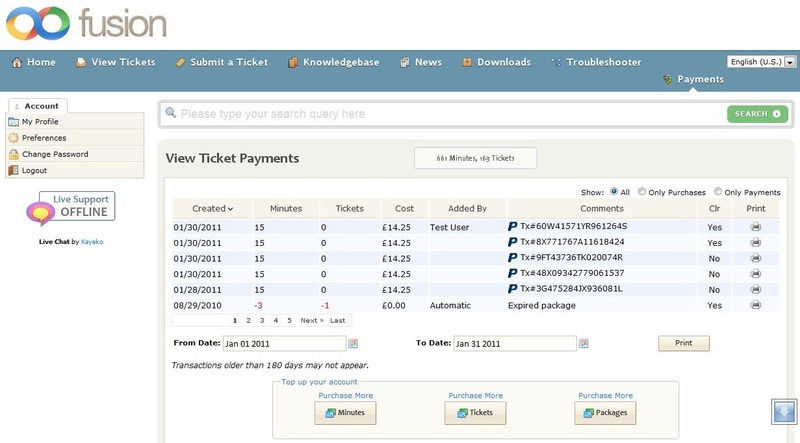 With the SupportPay module your existing ticket handling workflow will be the same as it currently is. The only real change is that your staff has an option to check a user’s credit levels before working on a ticket. View users’ lists with info on minutes and tickets credits they currently have, the number of affiliates that were signed up and an account manager, if any. 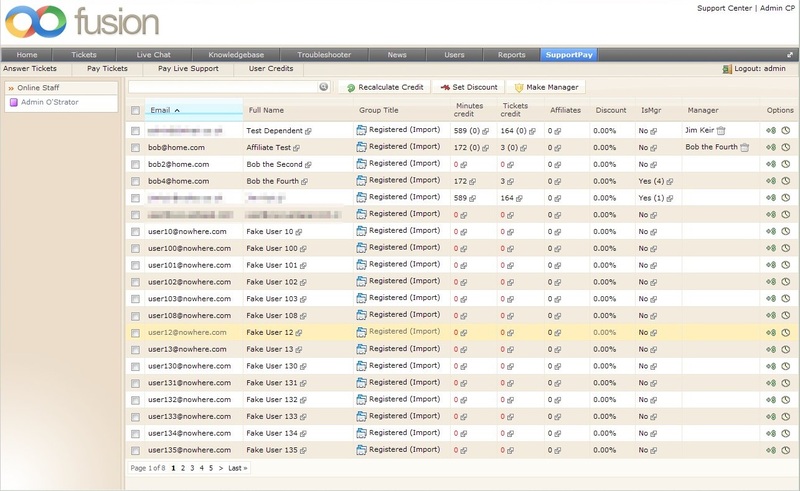 View a client’s entire history of payments and use of credits. The module also provides new experience for users, allowing them to have an access to the billing system from their accounts. Now users will have extra information about which tickets have been paid for, their current credit limits and payment transactions. Still the user workflow has one important change – credits must be purchased by users. 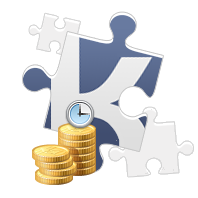 User front page provides very simple, easy-to-use widgets to manage payments that become accessible after a user has logged in. Click on the View Ticket Payments button in the Payments tab navigation menu to look through your payment history. In a new page user’s current credit is displayed. The grid shows the most recent payments made by a user. A small control with Dates on the foot of the page allows clients to Print their own account statements. The Purchase buttons, placed below (which can, of course, be customized), enable to get more tickets, minutes or packages.